GAINESVILLE, Fla., December 19, 2018	(Newswire.com) - When TradePMR, a custodial and brokerage-services provider dedicated to serving registered investment advisors (RIAs), announced their plans earlier this year to celebrate its 20th anniversary by organizing and participating in 20 service projects, all led and staffed by TradePMR employees, it sounded like an ambitious goal. Today, the firm announced that is has completed 22 service projects in 2018 throughout the community of Gainesville, Florida. Projects were selected by employees, led by employees and supported a variety of causes including health, education, family services, pediatric cancer research, mental health, women’s issues, breast cancer research and animal well-being. Among the recipients were the Ronald McDonald House, Boys and Girls Club, Alex’s Lemonade Stand, Lyrics for Life, Tyler’s Hope, NAMI and March for Babies. For more information on how to be present for the 20-for-20 Celebration at the 2019 Synergy Conference, visit http://synergy.tradepmr.com/. For more than two decades, TradePMR has worked exclusively with growth-minded independent registered investment advisors (RIAs) helping to provide the innovative technology tools and support needed to transform their businesses. The privately held brokerage and custodian services provider (Member FINRA/SIPC), based in Gainesville, Florida, works to streamline fee-only investment advisors’ operations through comprehensive custodial, operational and trading support. 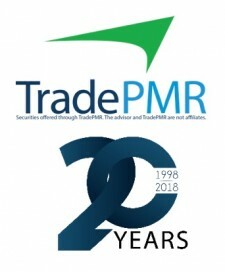 For more information, visit www.TradePMR.com.